Your boys are adorable. Looks like they were having a great time. Love the pics, they are all great. Looks like tons of fun that day. I bet the kids miss it too! They are adorable! Those are great pics! I miss the beach too. As a matter of fact I posted a beach pic for my WW today. Great pictures. I love the beach too. Hoping to go back one more time before summer is over. Great pictures! And your boys are just too adorable! Happy WW! We haven't made it to the beach this summer. All of our vacations have been in the mountains or on concrete. I like the beach during the summer (born Cali-girl), but really enjoy the beach during the winter months. There's nothing like the cool wind blowing and the crashing of the waves. It looks like the boys had a great time. Looks like you had a wonderful time! The beach is my absolute fave place to be! Happy WW & Thanks for stopping by! Looks like the boys had tons of fun in that gorgeous sun!! Adorable! Great pics! I love the beach! 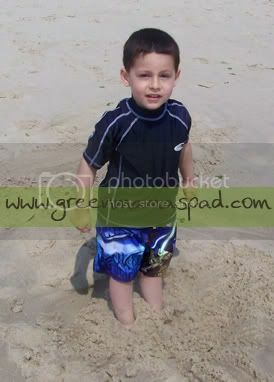 We just came back from our beach vacation too. Happy WW! I love the beach too, but not all the sand that gets brought home. 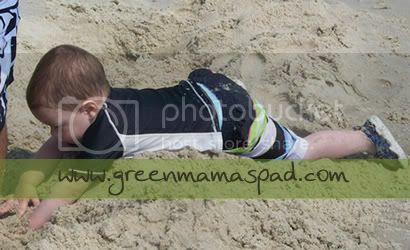 These pics made me want to go to the beach! 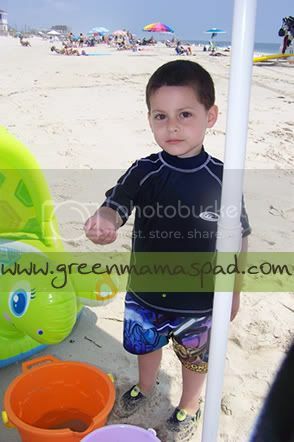 I think William looks like you in the last photo. I wanna be at the beach, too!! Oh, I love the beach! We just moved 10 minutes from it. I can see why you miss it! 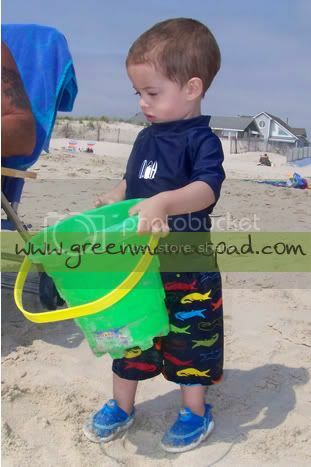 I love those swim trunks and shoes. Too cute. Great pics of your boys!! They are SO incredibly cute. Thanks for sharing. Almost makes me regret that my daughter moved away from the beach. But she and the girls are about 600 miles closer to home. 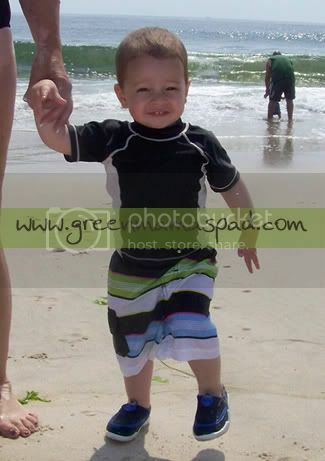 he is so cute- what a perfect beach day!! Aw, they're adorable! Looks like a wonderful vacation! 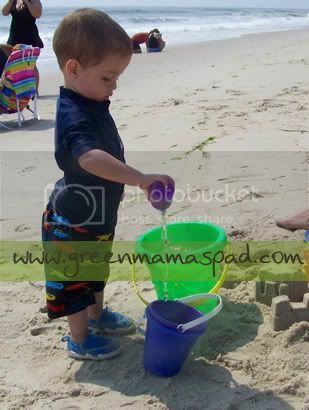 There just isn't a whole lot better than the beach when you're a little one! Such cute shots! I always feel home sick for the beach after we leave too! Your guys look so sweet.